I needed a healthy side dish to offset the main dish I was preparing for tonight’s dinner. Black Beans are very nutritious and from what I read, also is full of fiber, cholesterol reducing and an antioxidant. Plus, they taste so good and they are really inexpensive (dried). I soaked the dried black beans overnight (you can always used canned). 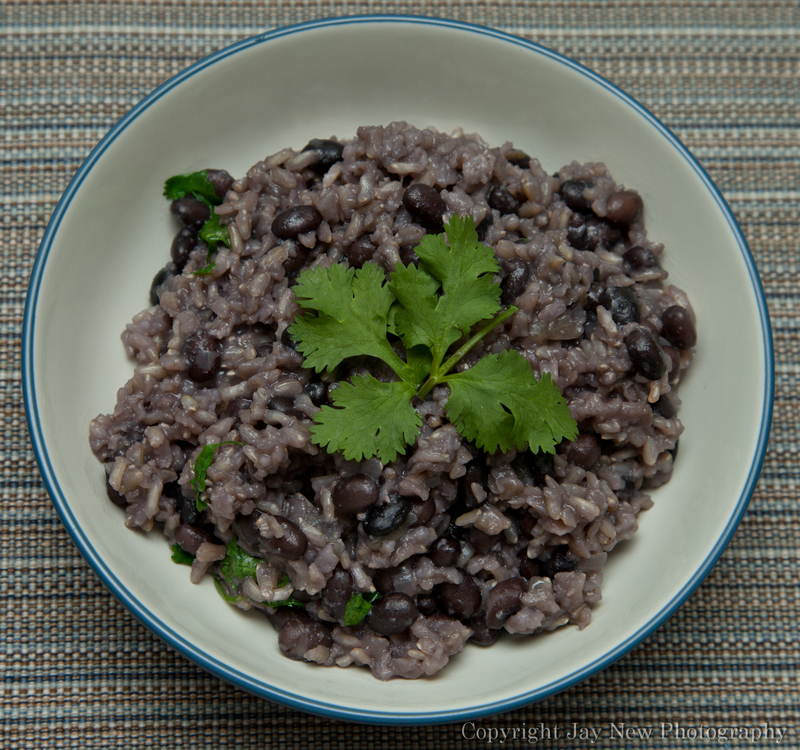 If you do not want the rice to become colored, you can boil the black beans separately and mix it in during step 7. Rice has been my go to for replacing pasta in any dish since going gluten free. This would be perfect with chicken! I totally agree! I was actually thinking of varying this dish by seasoning some uncooked chicken breast and adding it to the rice and beans while it was cooking (or adding cooked chicken at the end) for a one-pot complete meal. Thank you for visiting my blog! Happy Cooking! My family always eats rice and now that I am married, I find that I don’t cook it as often as I like. I am definitely keeping this dish, in my cooking rotations. Thank you for visiting my blog and Happy Cooking! Thank you BabyGirl! Beans in general, is something I am trying to get used to eating, so I know what you mean. The spices is what makes me really love this rice and I am already thinking of different variations to this. Have a great evening and Happy Cooking! This is a nice dish for whom, who want to loose weight. This is looks like a very popular dish in Vietnam. But we just use brown rice, black bean and salt. Brown rice taste good and black beans smells good. :q Love it. Thank you so much for your kind words. I love Vietnamese foods and would love to cook more Vietnamese dishes. Thank you so much for visiting!